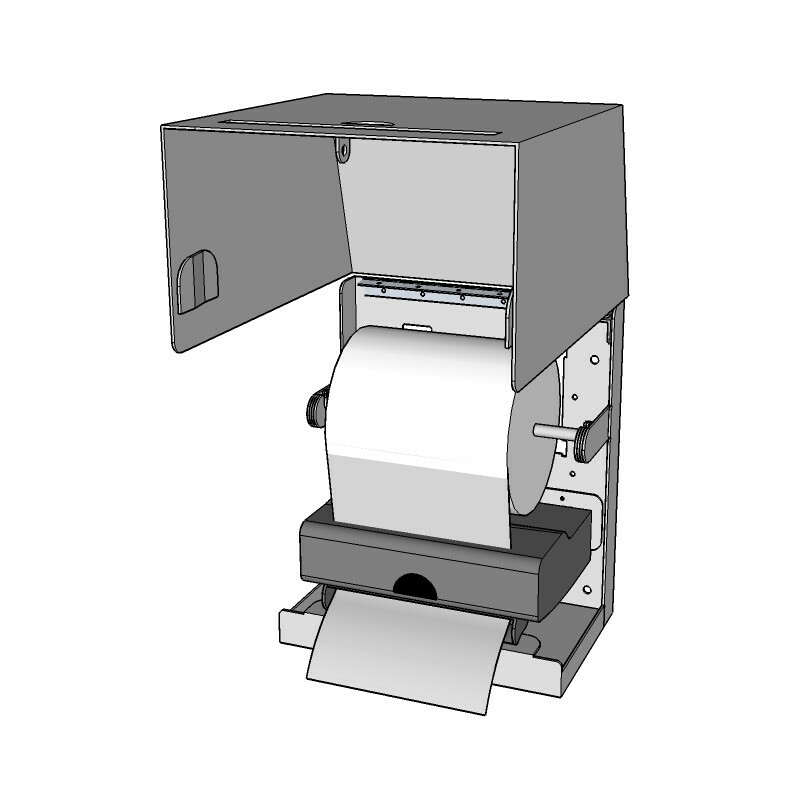 AA-PTD-AD-8 Automatic Stainless Steel Paper Towel Holder accommodates many types of paper towel paper products and does not lock you into one particular paper vendor. Featuring heavy duty Stainless Steel Construction and a locking enclosure, this unit will cut down on costs from corrosion, thieves and vandals. 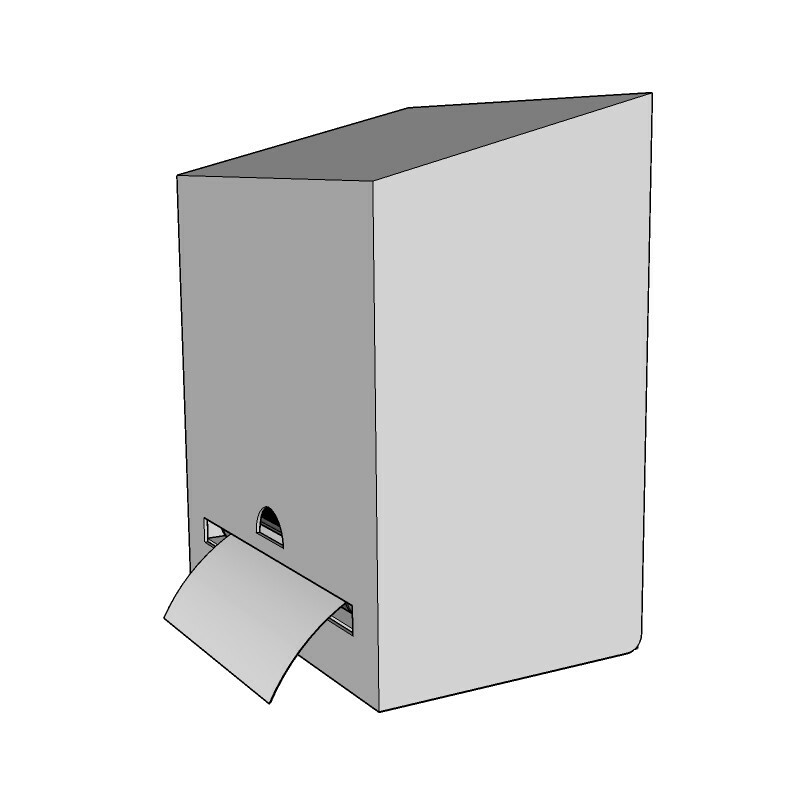 The AA-PTD-AD-8 Automatic Stainless Steel Paper Towel Holder is suitable for all public restroom facilities. 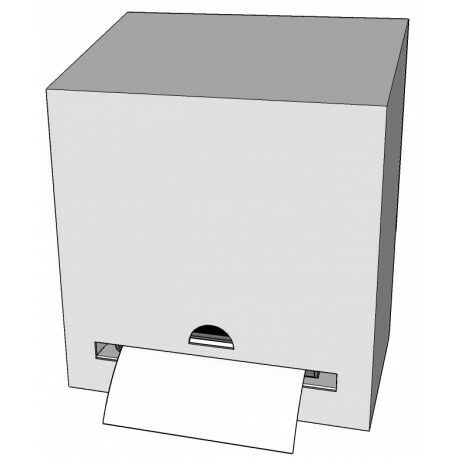 The AA-PTD-AD-8 Automatic Stainless Steel Paper Towel Holder is available in 12 gauge Stainless Steel that will stand up to heavy use, abuse and vandalism. Featuring a shrouded lock, vandals and thieves will be foiled should they attempt to cut the lock with heavy duty cutters. This product is available in 304L Stainless Steel and 316L Stainless Steel. For most restroom facilities, 304L is the most cost effective solution. It provides good corrosion resistance in non-salt water environments. 316L is preferred by our customers that are located near or on the ocean. Navy ships and public facilities at beaches should opt for the 316L material. 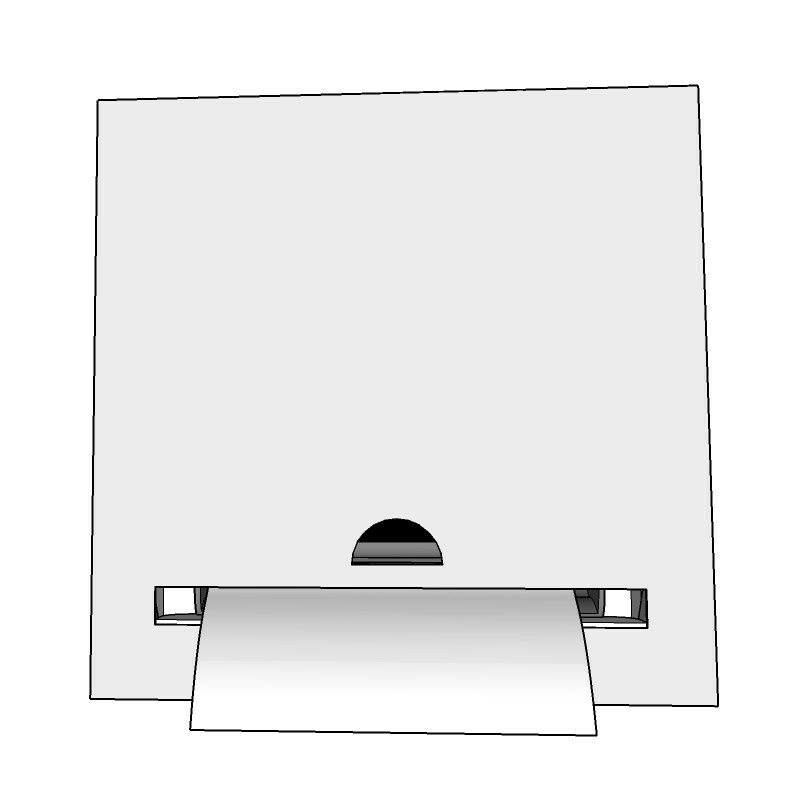 The AA-PTD-AD-8 Automatic Stainless Steel Paper Towel Holder accommodates 8" roll style paper towel products with different core sizes using optional adapter assembly. 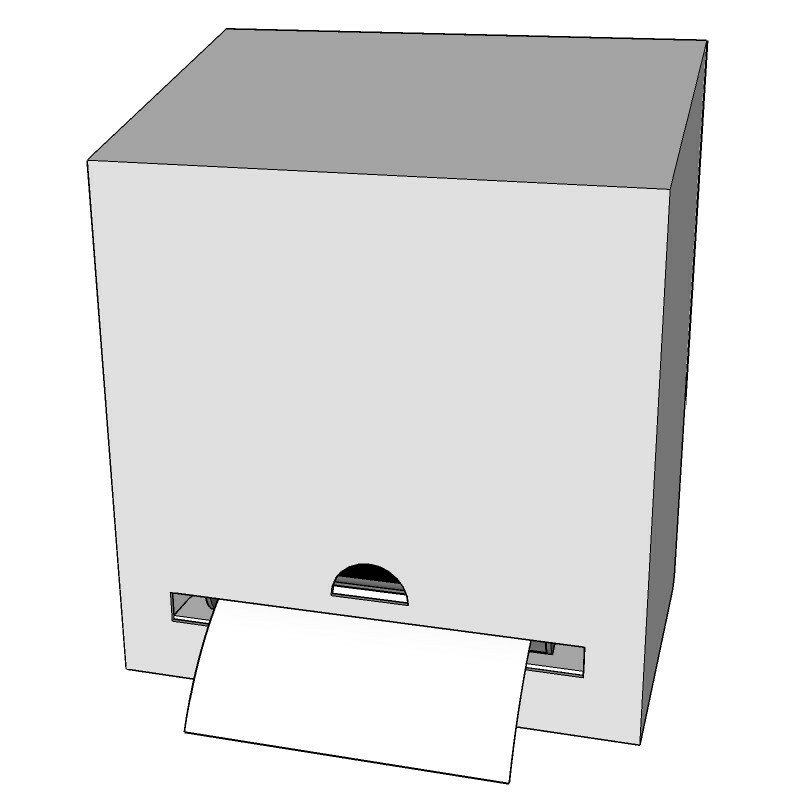 Past customers that are interested in the AA-PTD-AD-8 Automatic Stainless Steel Paper Towel Holder include Public Schools, Parks, Restaurants and the National Forest. 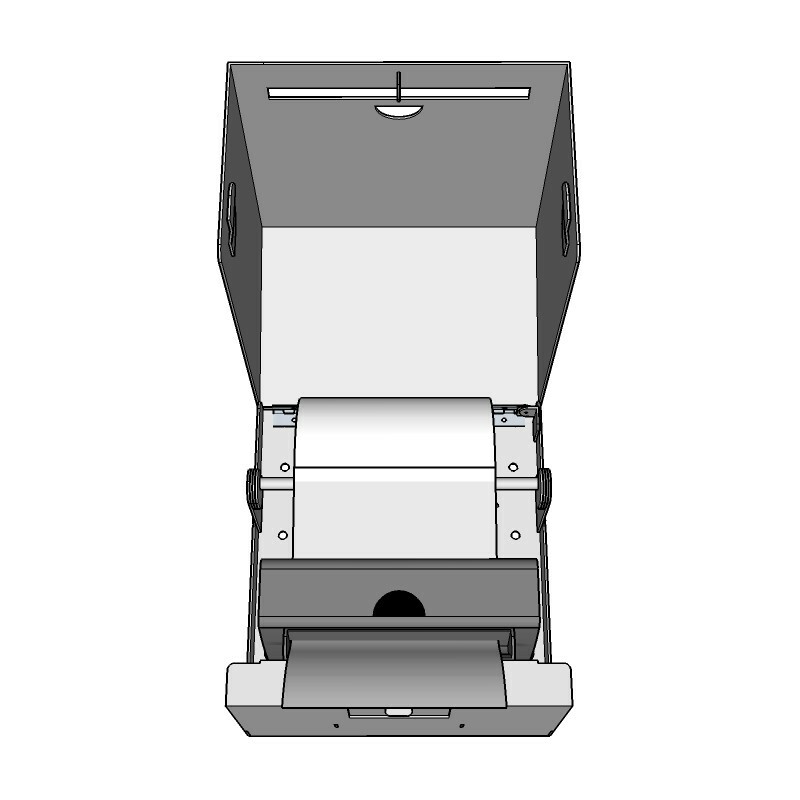 The AA-PTD-AD-8 Automatic Stainless Steel Paper Towel Dispenser is intended to be securely mounted using at a minimum 3/8” lag bolts. It can be partition mounted, or securely anchored into cinder block using 3/8” lag bolts that fully penetrate the cinder block. For sheet-rock installations it is necessary to use a 3/4” backing behind the sheet-rock to ensure it is securely fastened to the wall. Dispenser shall be constructed with American made, 12 or 14 gauge 304L or 12 gauge 316L Stainless Steel joined /w TIG welds, polished smooth and edges de-burred. Dispenser shall not be cross-metal contaminated during manufacturing construction. 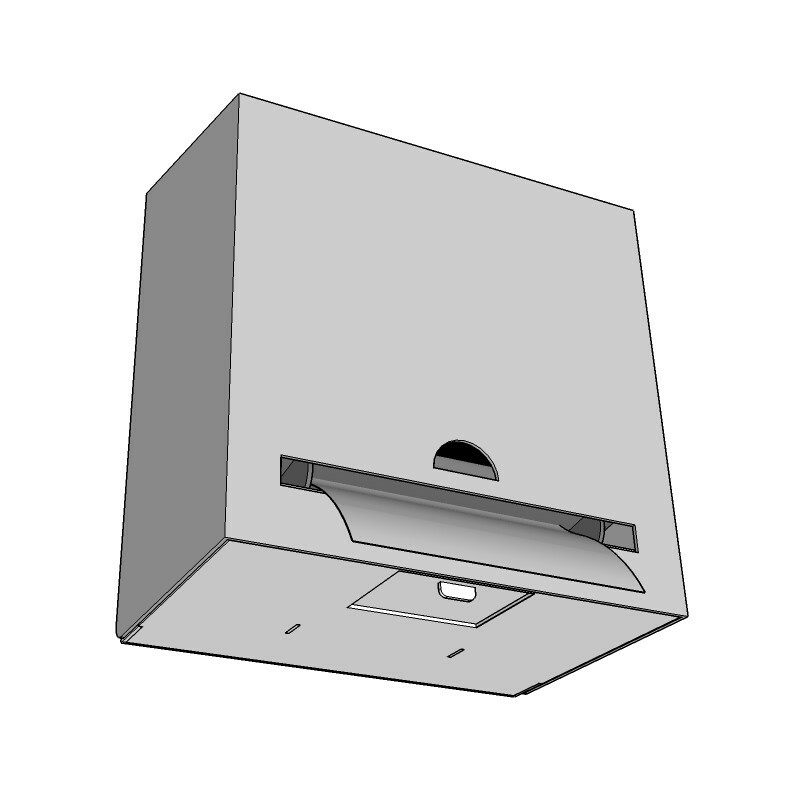 Dispenser shall have housing covering tissue paper and have protective shroud for regular padlock use. 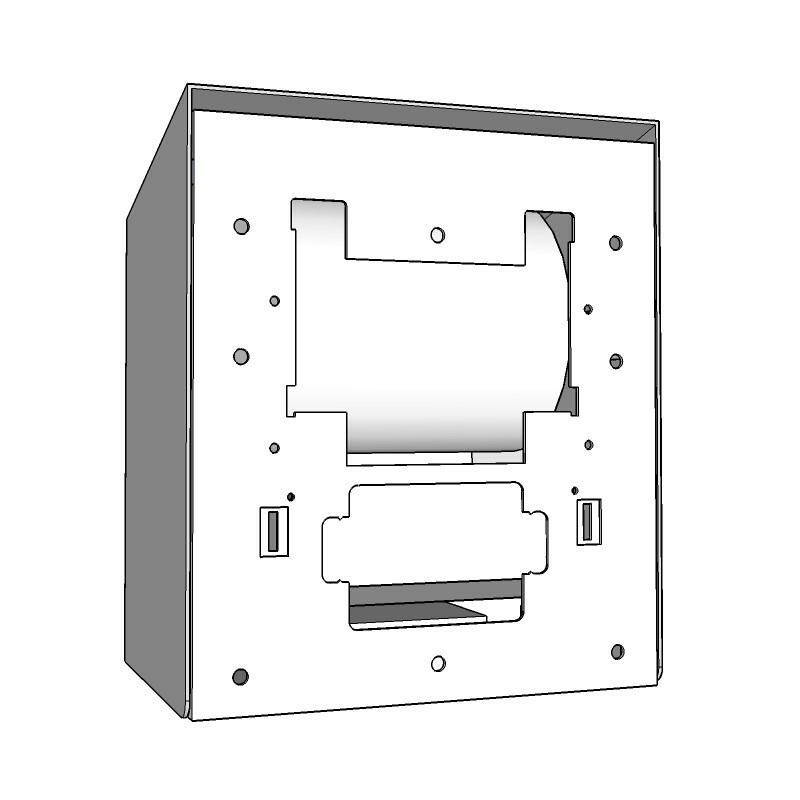 Dispenser shall have 1⁄2 inch mounting holes. Dispenser shall accept multiple paper styles, be drip deflective. 12 Gauge models shall include a lifetime functional warranty. Spindle Adapters for the AA-PTD-AD-8 Automatic Paper Towel Dispenser. Use this accessory if your brand of paper towel has different core size than 1/2". Dimensions are Inner diameter (always 1/2"), the inner diameter of the core of your paper product and the width of the roll (always 8").